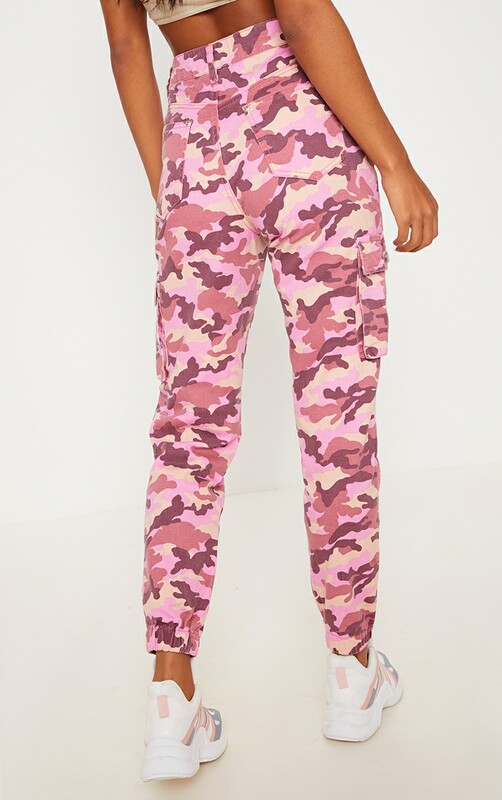 We are loving these bang on trend camo jeans girl. 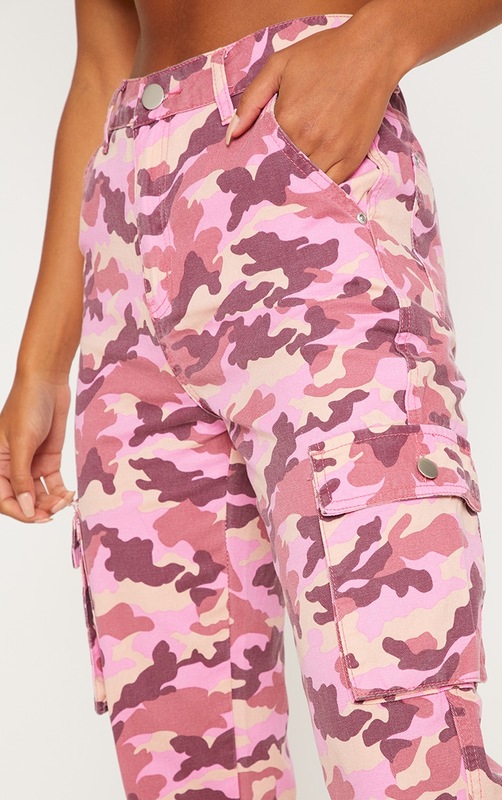 Featuring a pink material with a camo print design and elasticated cuffs. 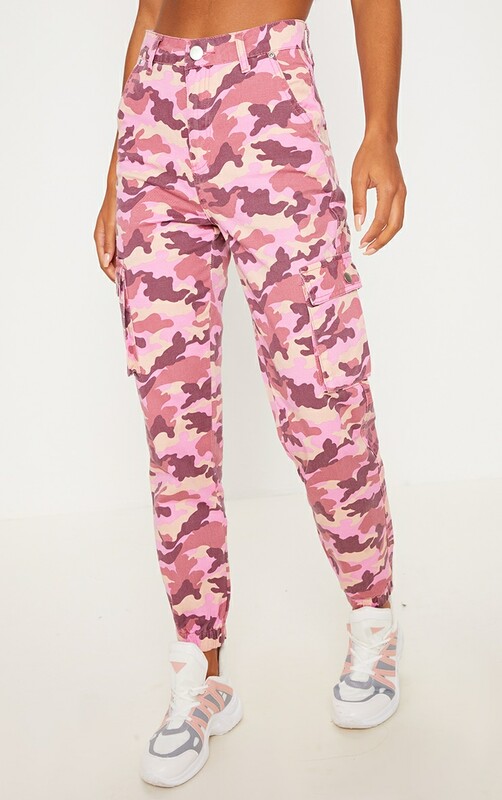 Team these trousers with a simple tee and the matching jacket for a look we are crushing on.